according to the eternal truth and the eternal promise of God's Word. (Genesis 12:3). the Old Testament (written in Hebrew) and the New Testament (written in Greek). we want the Jew and Greek believers to also feel united, like The Book of books. (Genesis 21:22-34), and between Isaac and Abimelech (Genesis 26:26-33). his nephew, and his family, prisoners (Genesis 14:13,24). Jews are brother nations and both come from Abraham (1st Maccabees 12:21). they may renew the fraternal and friendly relations between them. period of Nehemiah (Nehemiah 10:1, 29). to Israel (Ephesians 2:11-22 and Ephesians 4:2-6). as One People in the Lord. (Ephesians 2:11-18). consider to be the united and indivisible capital of the Jewish nation. Jerusalem as the Lion of Judah over all humanity (Revelation 5:5). and stand in opposition to, any and all forms of Anti-Semitism. in the future, since as humans, we are sinners and always prone to sin. caused enormous grief and affliction to the Jewish nation during history. hereby repent of this attitude. opposition to the Word of God concerning the Jewish people. that they make together with us this particular covenant of love and unity. considering the latter an equivalent expression of love and unity. or believers from other nations who want to do this treaty (covenant). all families of the earth be blessed” (Genesis 12:3). this solemn promise we make in front of Him, and that He may bless it. haMashiach (Jesus Christ) is to the Jew first and to the Greek. Amen. freedom. Any and all gods other than the God of Israel is a false god. called Replacement Theology are traced to the so-called Greek Church Fathers. election that was driven by unbridled racism. 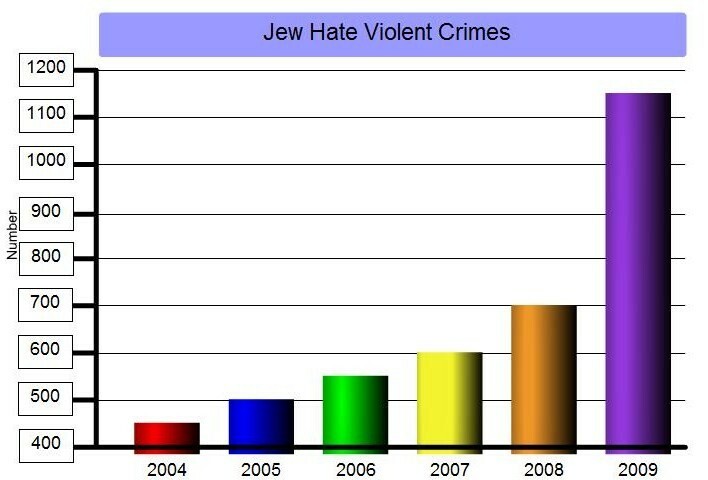 partake of the devil's bait of Jew Hate is DEADLY. but Israel: for as a prince hast thou power with God and with men, and hast prevailed. nation of Greece or to someone who speaks the language of Greek as in Acts 21:37.
absolute infallibility in the proclamation of the Gospel. a Gentile or someone who is not Jewish. in their heart will subscribe to this treaty, whether they have ever heard of it or not. Christ, clearly understand these things. give honor to the Jewish high priest? that all things will succeed according to what is in my own mind." facts of BC history, which should be considered in these last days of strong delusion. 150 years before Cyrus was born, that God had also prepared the way for Alexander. international language of the Messiah’s second coming, English. LINEAR TIME, as only the Omniscient God of Israel could possibly do. There are many who say that Greek and Hebrew cultures are polar opposites. important thing for saints to understand in these last days of strong delusion. the spiritual balance ordained in the revealed will of God. SACRIFICE OF HIS OWN BLOOD. being of ALL the people, enters into the Presence of God ALONE. of observance of the Day of Atonement. Father which art in heaven, Hallowed be thy name. Mat 6:6-9.
time preserve a collective Spirit of Care for the community by praying, OUR FATHER. Gentile believers in Messiah Yeshua. kind of man upon whom and in whom Paul invests everything. Further confirmation of this revealed will of God is seen in the selection of deacons. only Nicolas is called a proselyte, the other six including Stephen were Jews by birth. which rely only on spiritual manifestations. that worship him must worship him in spirit and in truth. John 4:23-24.
workings of deceiving counterfeit spirits. be a new creation in the married couple. The abominations being done in Jerusalem by the PERES horns of the Gentiles are many. the end of PERES, and has told us the end from the beginning. them in the clouds, to meet the Lord in the air: and so shall we ever be with the Lord. ISLAMIC TERROR ATTACKS IN EUROPE, AMERICA, AND THE ENTIRE WORLD. will religiously kill, just like killing Jews, for their Islamic moon god. CRIMES OF TREASON and CORRUPTION, against the people of Israel. into the GREATER WORKS of John 14:12 and the EXPLOITS of Dan 11:32.
trees, till we have sealed the servants of our God in their foreheads. violation of International Law and against anything that could be human nature. Mountains of Israel, Judea and Samaria, to those who hate the God of Israel. out Ashdod at the noon day, and Ekron shall be rooted up. against the land of Israel, saith the Lord GOD, that my fury shall come up in my face. Babylon is fallen is fallen. The dollar god of America is FINISHED. The concessions to Islamic terrorists EMPOWERS AND EMBOLDENS them. that it allowed Islam to show its TRUE face, in the face of Hamas, to the world. voice of the prince of the power of the air. and weapons smuggling capability, and NOT for any humanitarian purpose. off from being a nation and that the name of Israel may be no more in remembrance. born again Christian and hate Jews. That is an oxymoron. I would encourage everyone to post and publish this treaty everywhere that you can. known and distributed as you could possibly help make it to be. perdition, but to you of salvation, and that of God. Pray for the peace of Jerusalem. Pray Psalm 83 every day. Only be very strong and of good courage. Stay IN the Word.